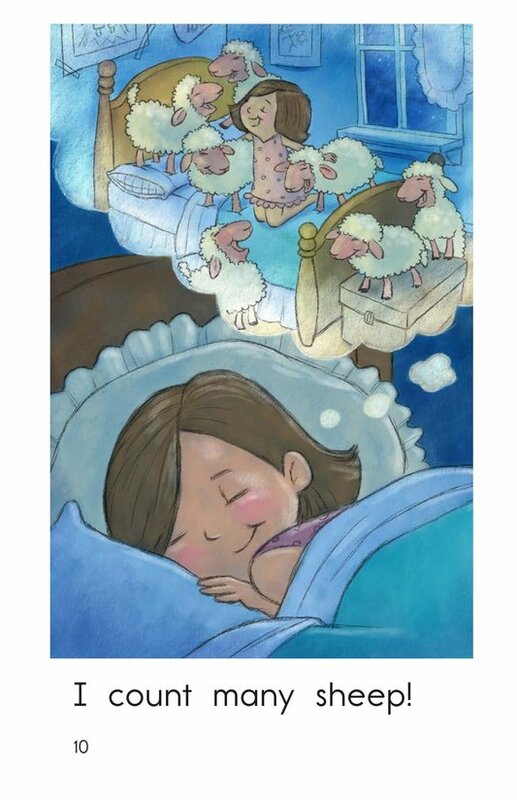 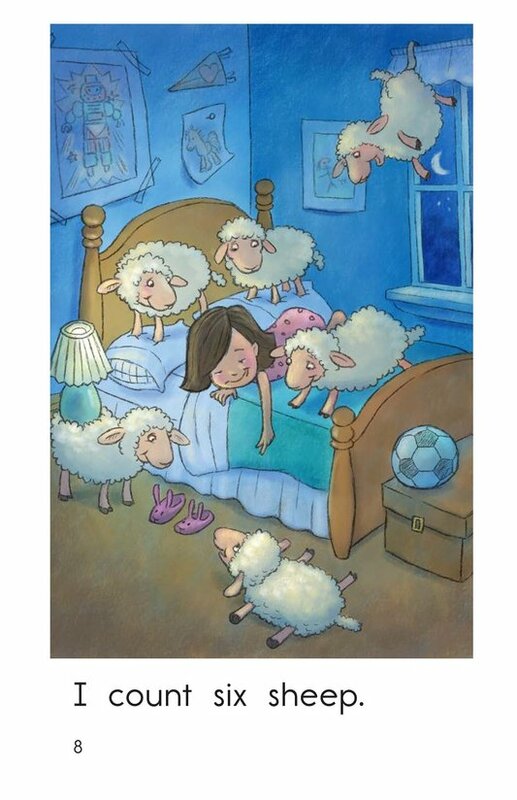 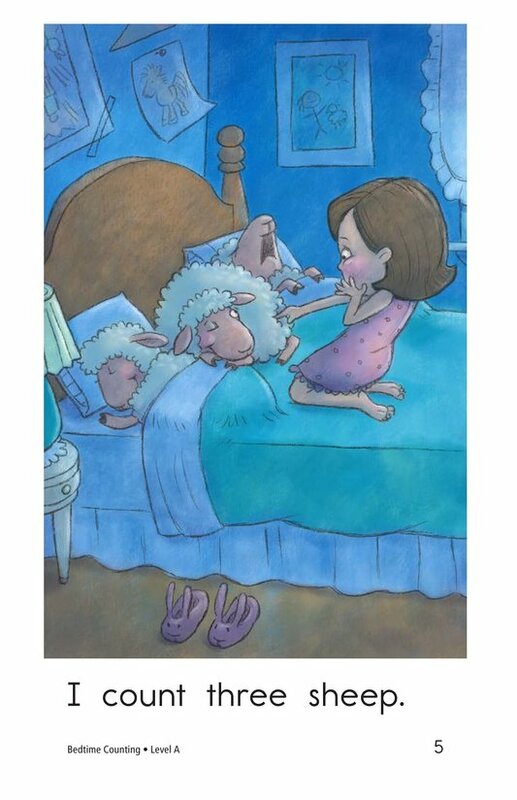 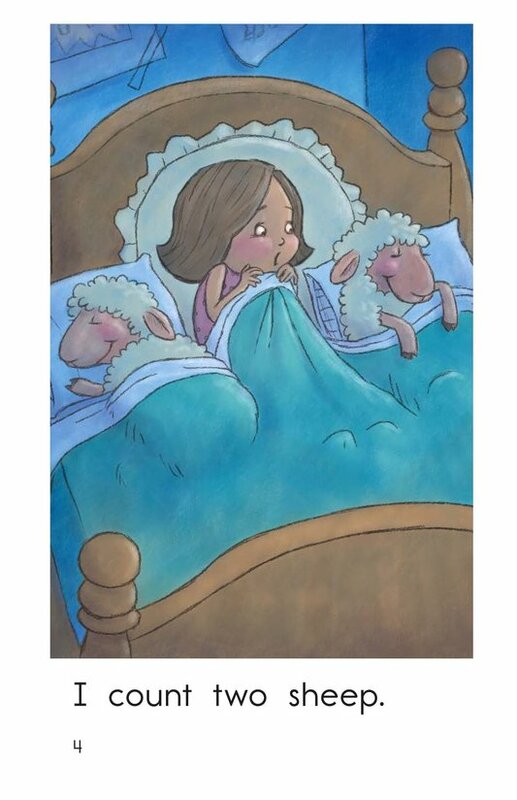 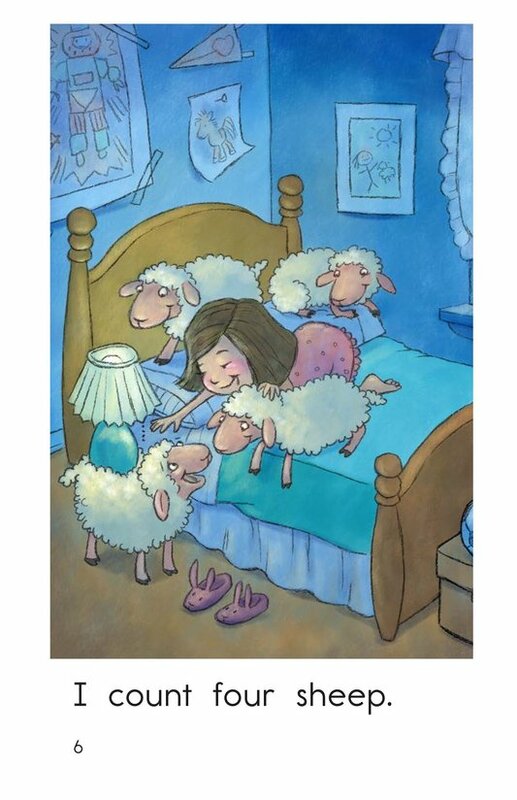 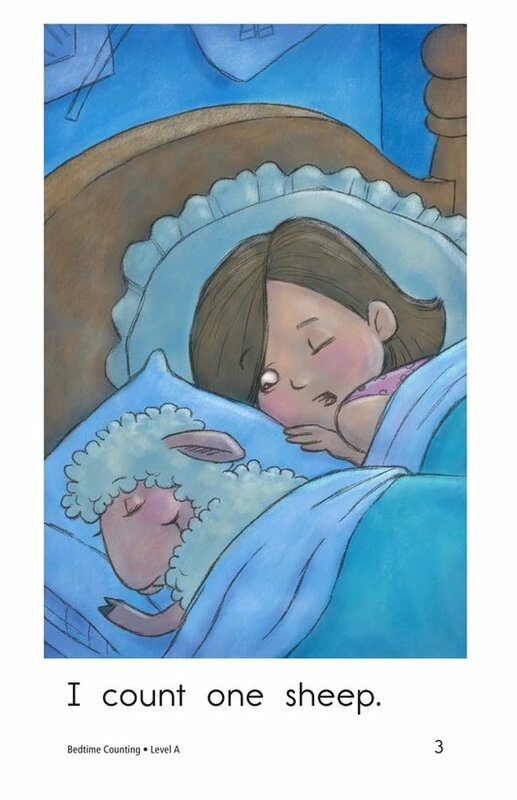 In Bedtime Counting, a girl counts sheep to help herself to fall asleep. 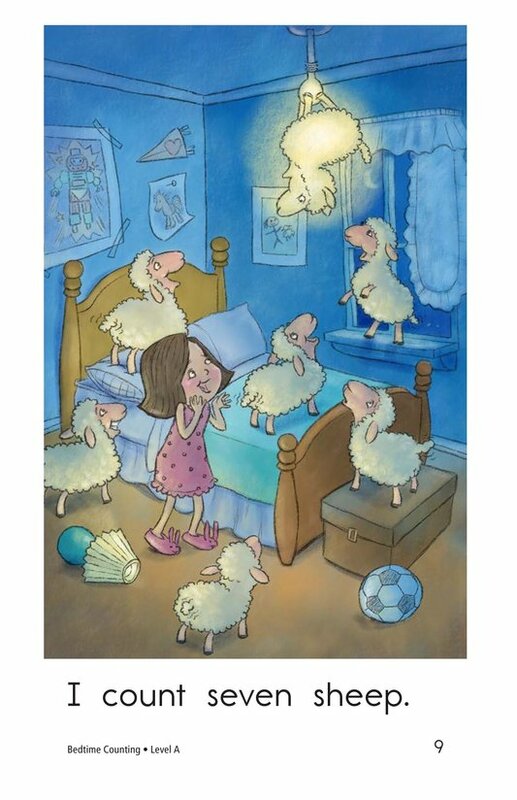 As she counts, new sheep appear in her bed, on her floor, and even dangle from the light fixture. 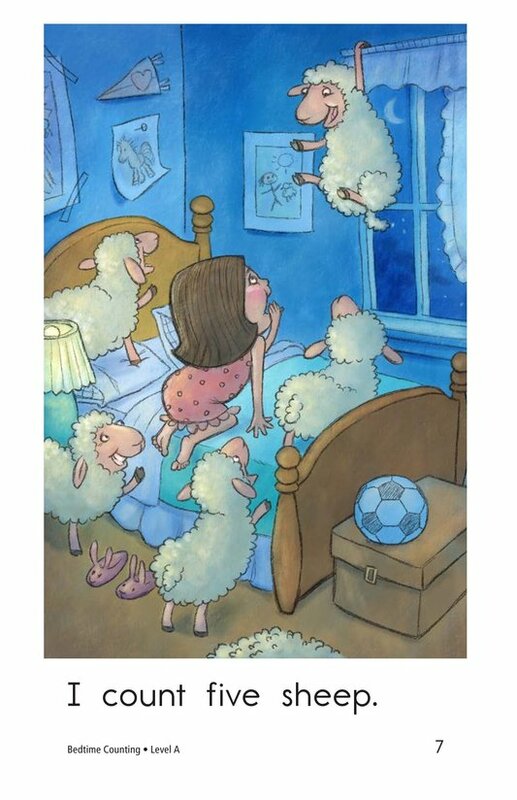 Where are all these sheep coming from? 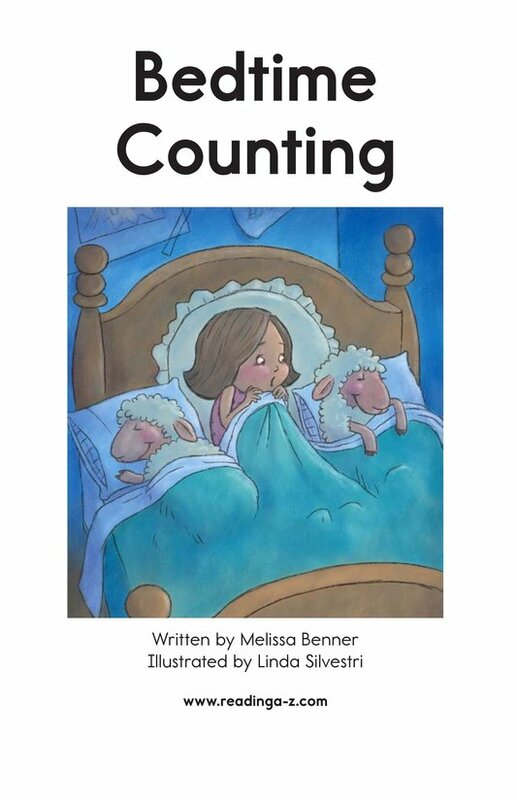 The fun illustrations bring this nighttime counting story to life. 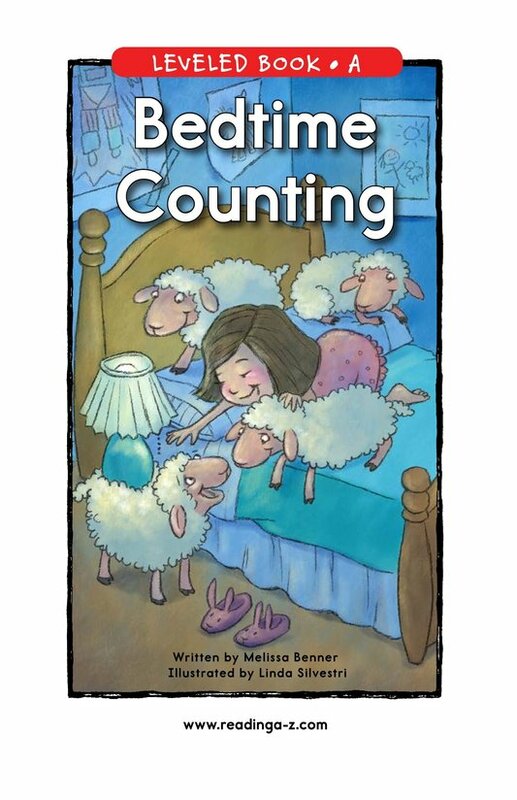 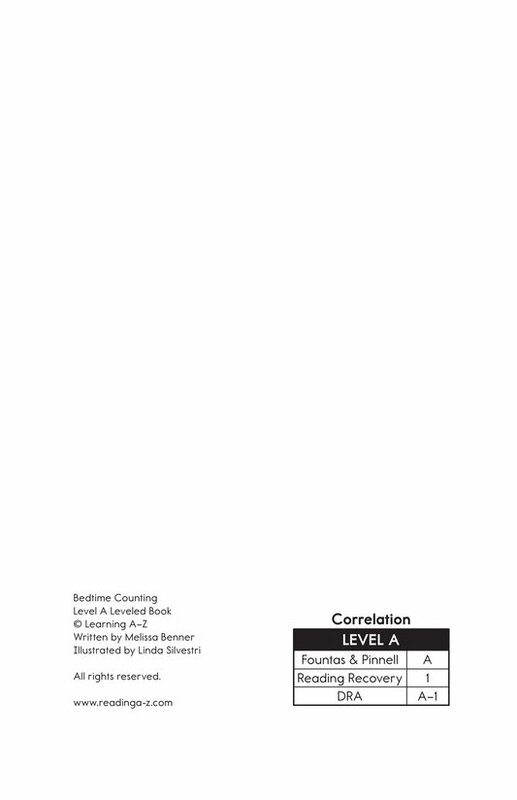 Simple, repetitive sentences enable early emergent readers to be successful decoders.